I arrived in Prague at 10am after stretching out across 3 seats in the train and sleeping the whole way. I had an hour to drop my stuff at the hostel, check in, and get to the meeting point for the free walking tour. After the Berlin one, I was determined to take one at each city I visited that had them. I made it just in time for the tour and experienced the coldest day of my entire Russia/Europe trip. The temperature was not all that cold, only about -11C. However, I didn’t wear thermals on the train and did not have time to change. Plus, I was wearing shorter socks and my running shoes and not boots. No sweatshirt underneath my jacket, just a long sleeve shirt. I had looked at the weather site and it said it would be warmer than it really was. The wind was particularly painful as well. Anyway, it didn’t stop me from spending 7 hours outside, basically the whole day. We met at Old Town Square. 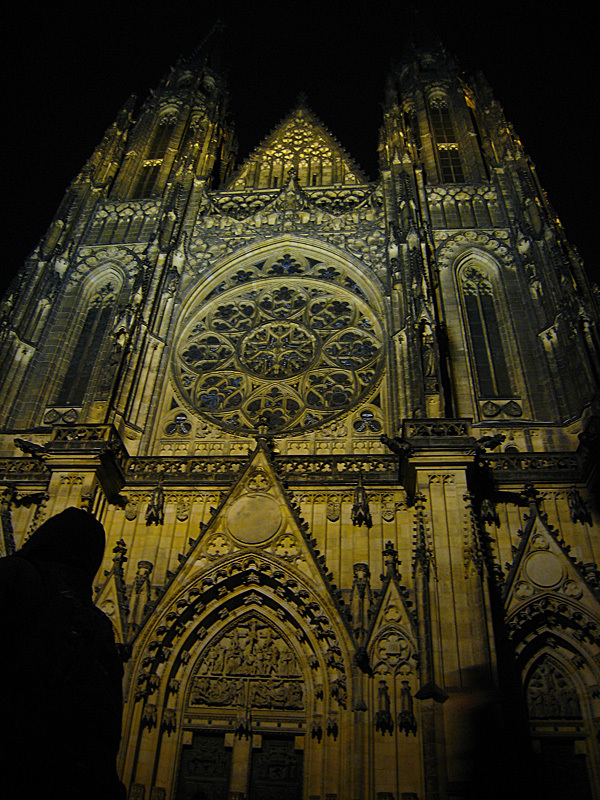 One of the cathedrals surrounding the square. The right tower is slightly bigger than the left, so it’s called Adam. The left one is called Eve. 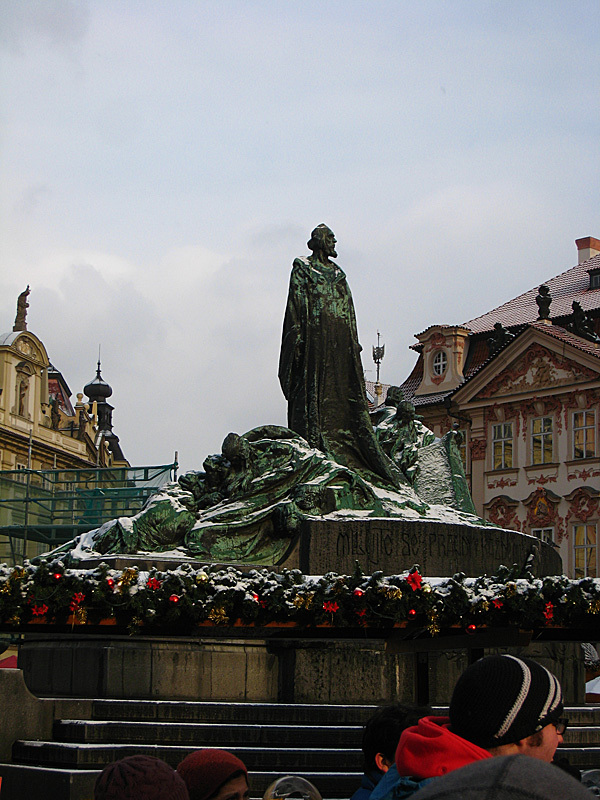 Jan Hus, who was burned at the stake by the catholic church. 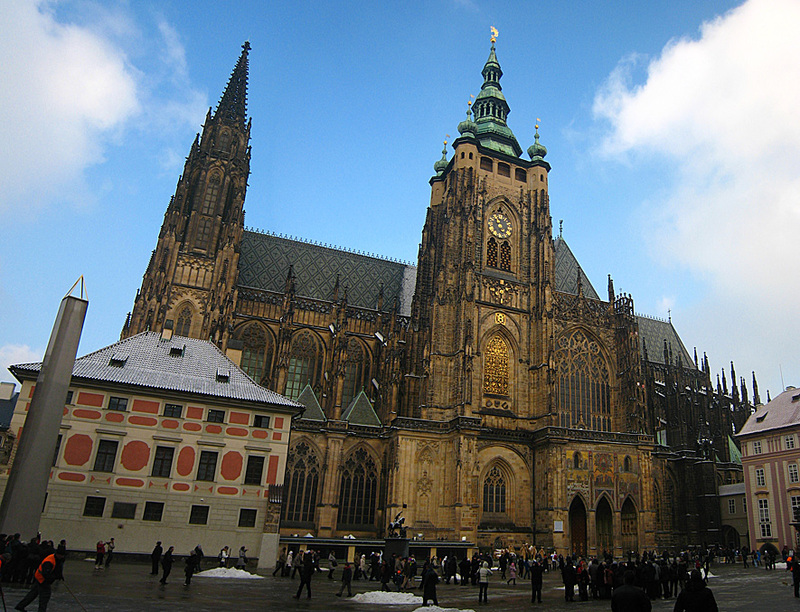 He founded the Hussite religion and it had a large following in the Czech Republic. 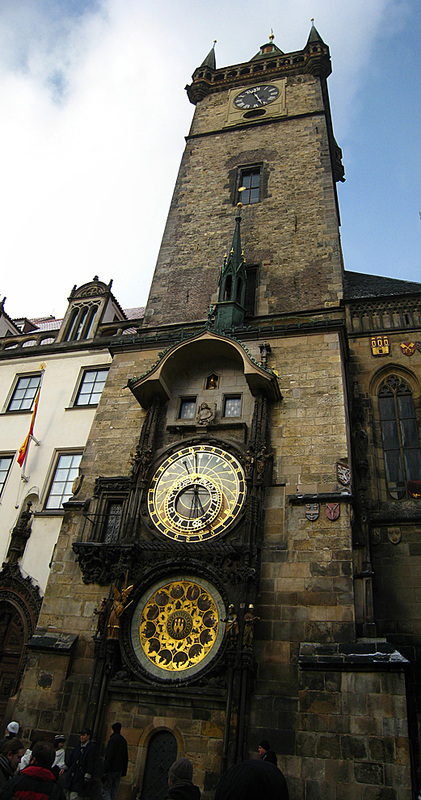 The Astronomical Clock. Apparently it counts 12 different types of time. It was such an amazing ordeal at the time of building that the emperor gauged out the builder’s eyes so he couldn’t build another one. As revenge, the builder took out some sprockets and whatnot so the clock didn’t work for 100 years. The Estate’s Theatre. 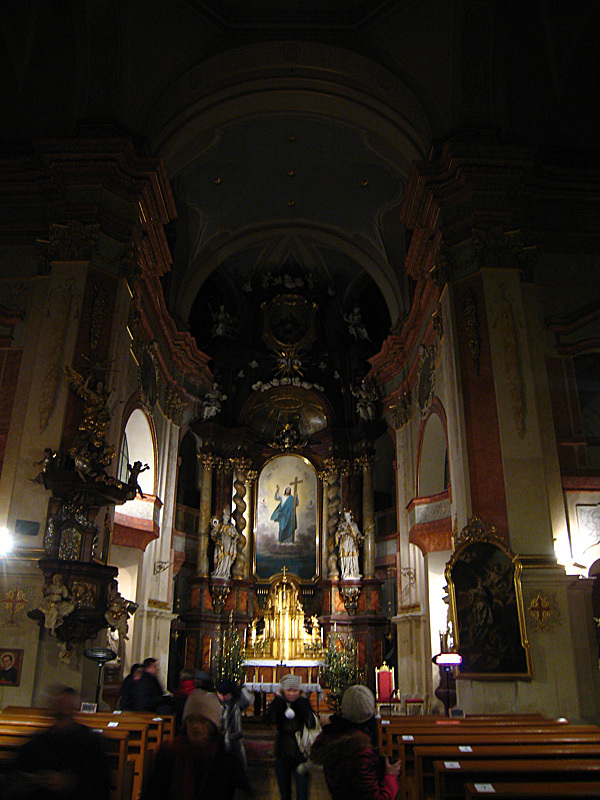 Mozart premiered “Don Giovanni” here. He was a fan of the Czech audience as they gave him numerous standing novations. 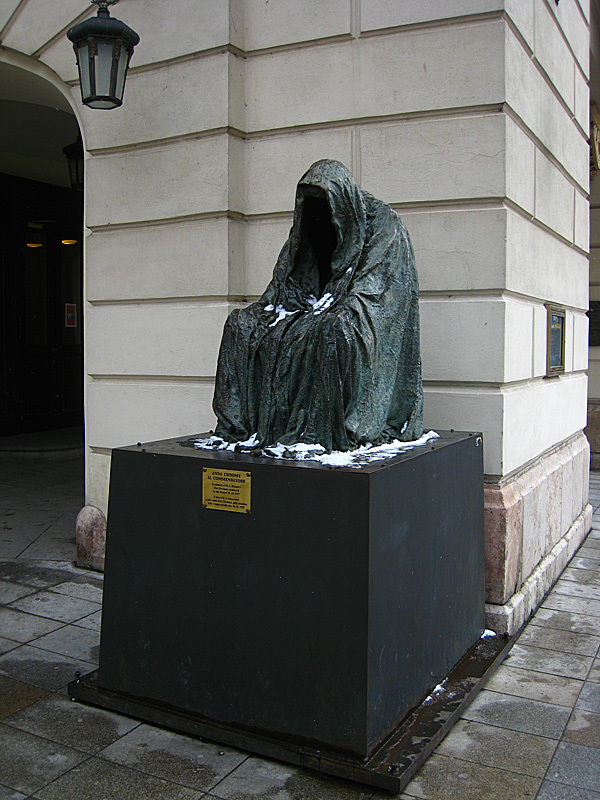 Statue of Death from “Don Giovanni,” crouched in front of the theatre as a memorial. The Black Virgin Mary, with black Jesus. 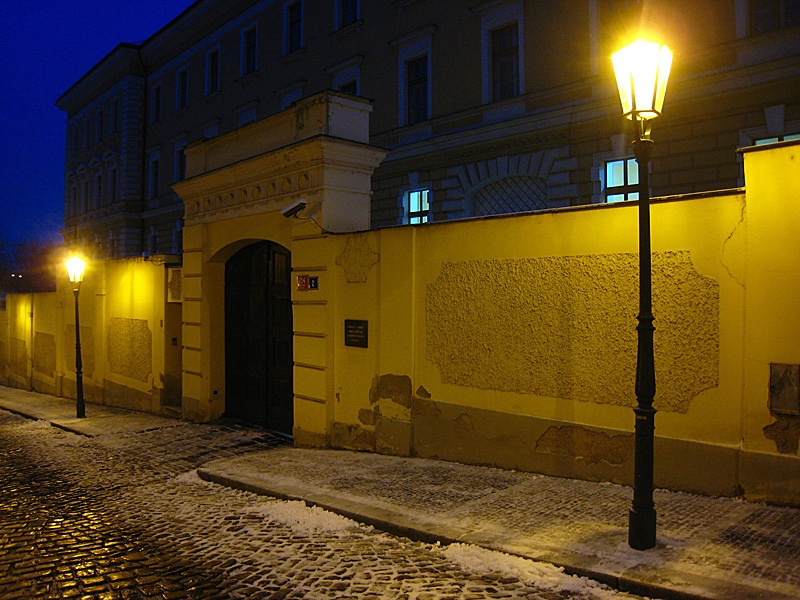 Franz Kafka, a famous author, lived in Prague. 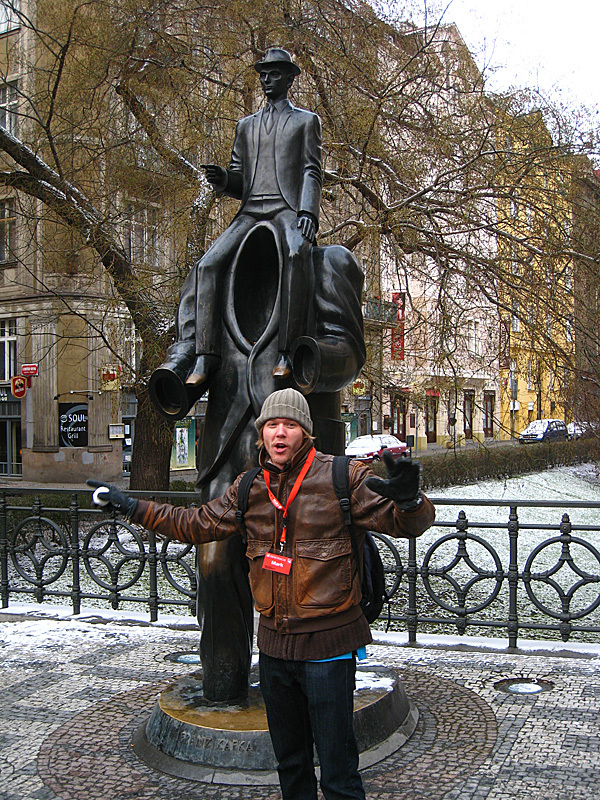 Our tour guide, Mark, told us Kafka had a dream in which he was sitting atop a headless, handless, footless, being and saw the world from a whole different perspective. So this is a monument of that. 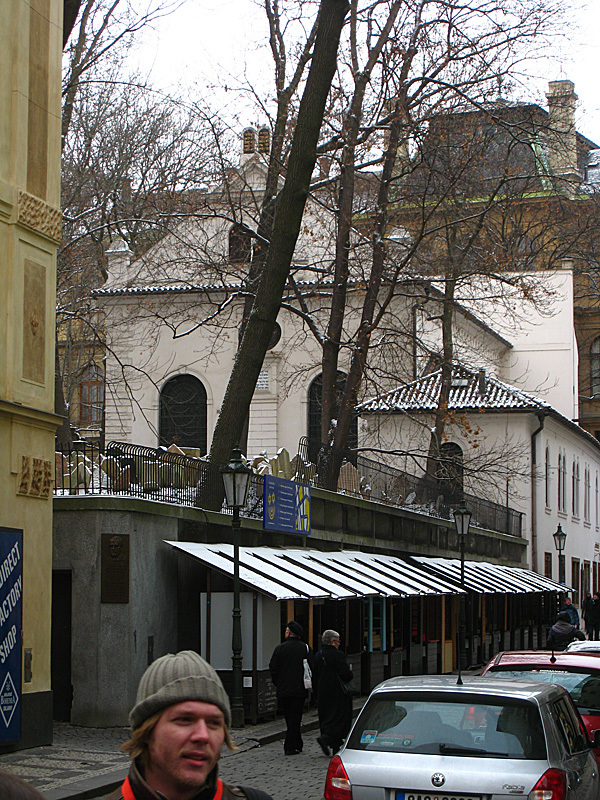 We visited the Jewish Quarter. All through Czech history, the Jews were segregated and they were forced to live in swampland, here, until they got permission from Charles to live elsewhere. 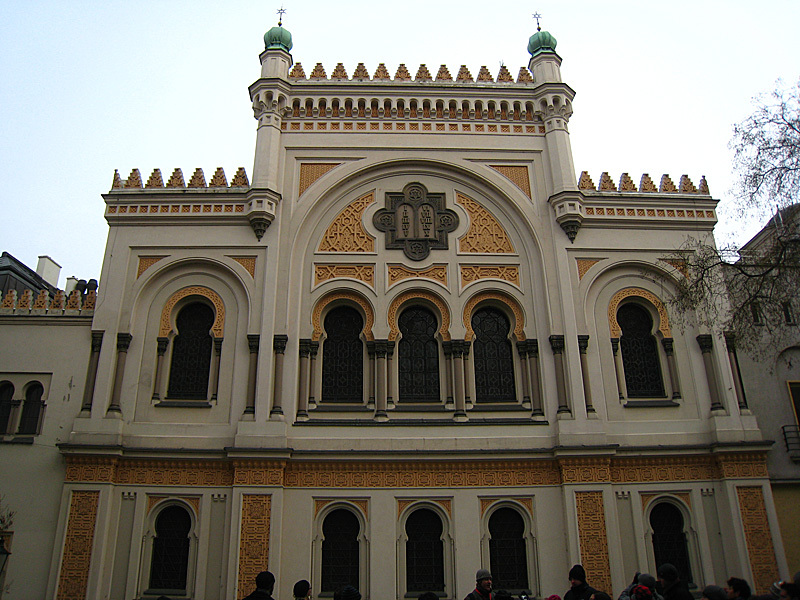 This is the New Synagogue. Check out that red needle up on the hill. It’s a metronome. It falls at around 20 beats a minute. Jewish people have to be buried underneath earth. They ran out of space in this cemetery so they kept piling graves on top of each other. The original cemetery ground was level with the street. There are about 20,000 bodies in that cemetery. The first chessmaster in the world. And he was Czech. Apparently, his rival and him would publish books about the other one saying the other one couldn’t play chess and this went back and forth. 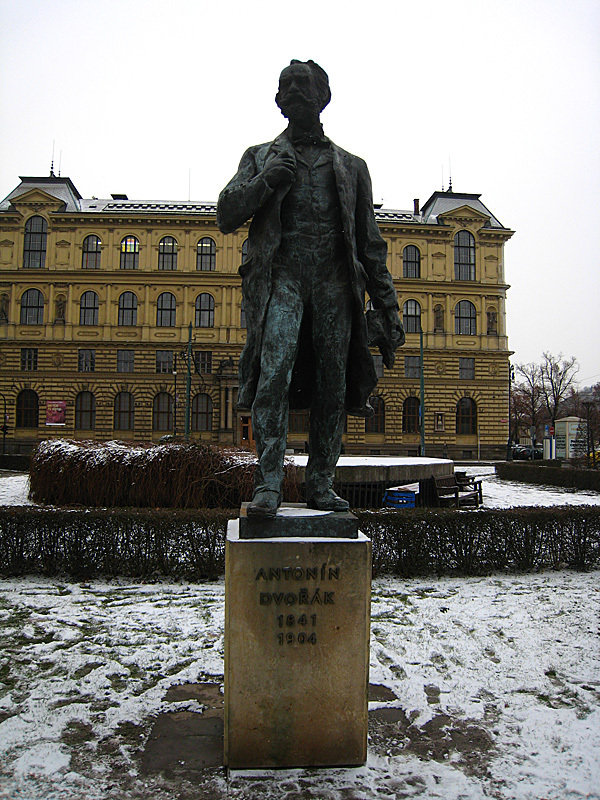 Antonin Dvorak, a famous composer, had Czech origins. 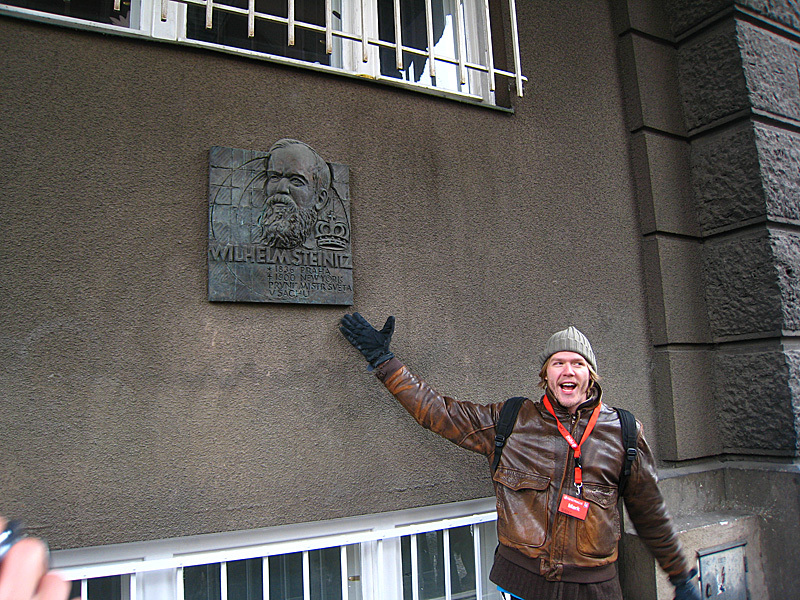 There’s a funny story about the building behind Dvorak. it’s the Opera house of Prague. On top of it stand many statues of composers. One of them was Felix Mendelssohn, a Jew. 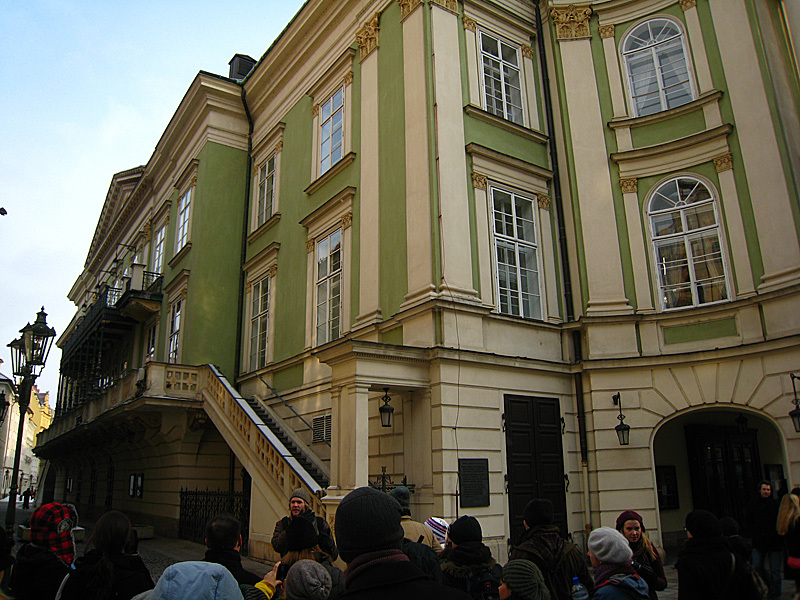 When the Nazis rolled through here they learned of Mendelssohn’s statue on top of the building. They decided they couldn’t have this. So they had some workers go up and knock his statue off. But none of the statues are labeled. So they searched and searched and couldn’t find Mendelssohn. The SS officers talked together and decided that Mendelssohn should have the biggest nose. They told the workers to throw off the statue with the biggest nose. The workers found a statue with the biggest nose and pushed him off the edge of the building. Only, it wasn’t Mendelssohn. It was Richard Wagner, Hitler’s favorite composer. Oops! Serves him right, trying to mess with Mendelssohn. I was pretty cold that day standing next to the river like that. The Charles Bridge, originally built by King Charles so he could charge people who wished to traverse it. But he also started a university here so I guess that evens out. 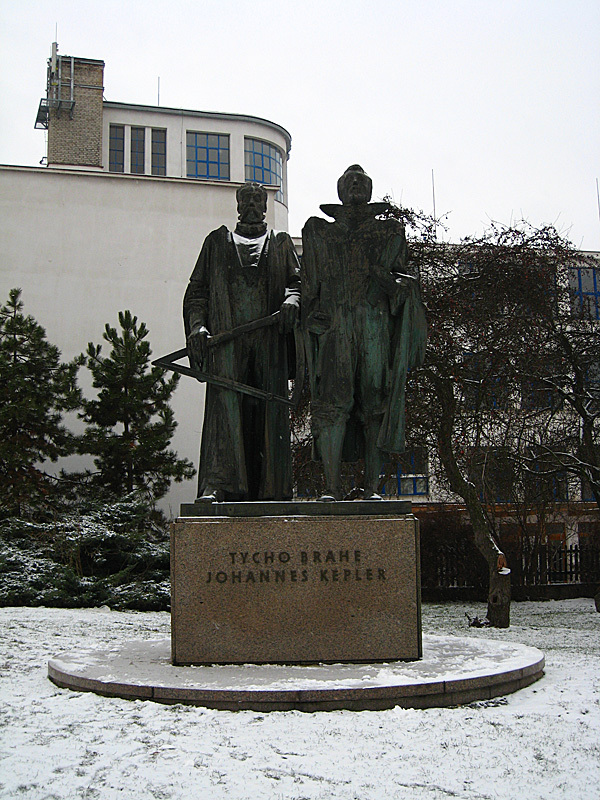 Tycho Brahe & Johannes Kepler. There is a rumor, because of an autopsy of Tycho Brahe which found lead in his body (he died of a burst bladder), contributing to a conspiracy that Kepler murdered Brahe. This is because as Brahe was a scientist, they expected him to know that lead was poisonous and so he would not have consumed it. A panorama of the southern part of the city. 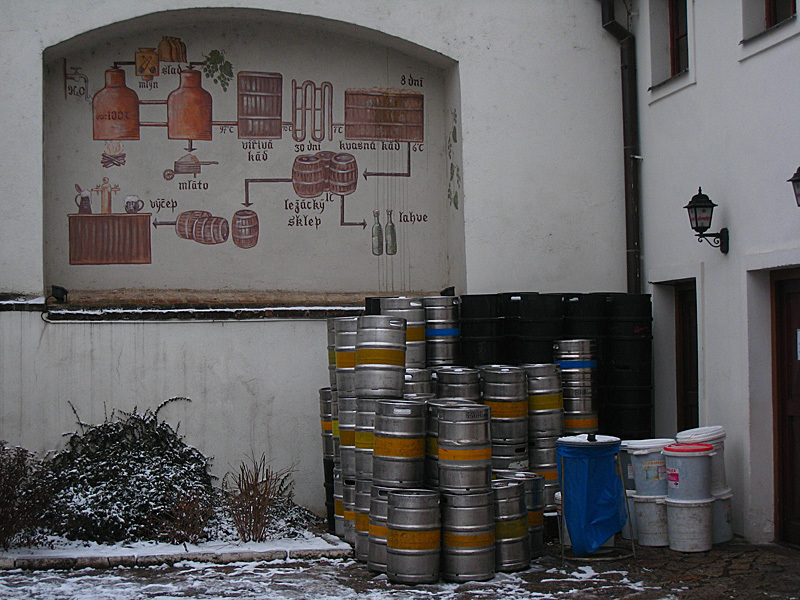 We took a short break at a brewery on top of the hall. I got a hot chocolate. After the Soviet regime ended there were rumors that the people in power just shifted into other positions of power under different organizations. This building is the only building remaining inaccessible to the public. So the public still doesn’t know whether this rumor is true or not. 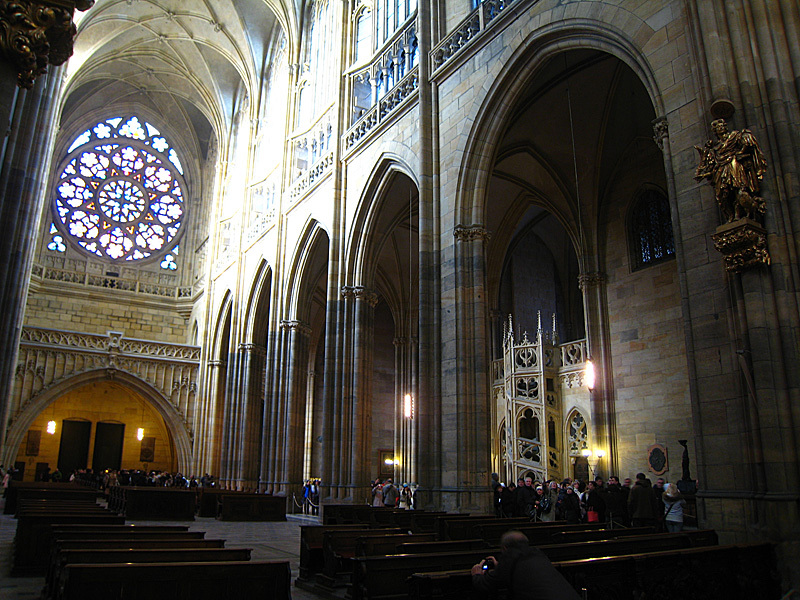 St. Vitus Cathedral inside the castle grounds. It was the big building on top of the hill in the first panorama. Great Gothic architecture. 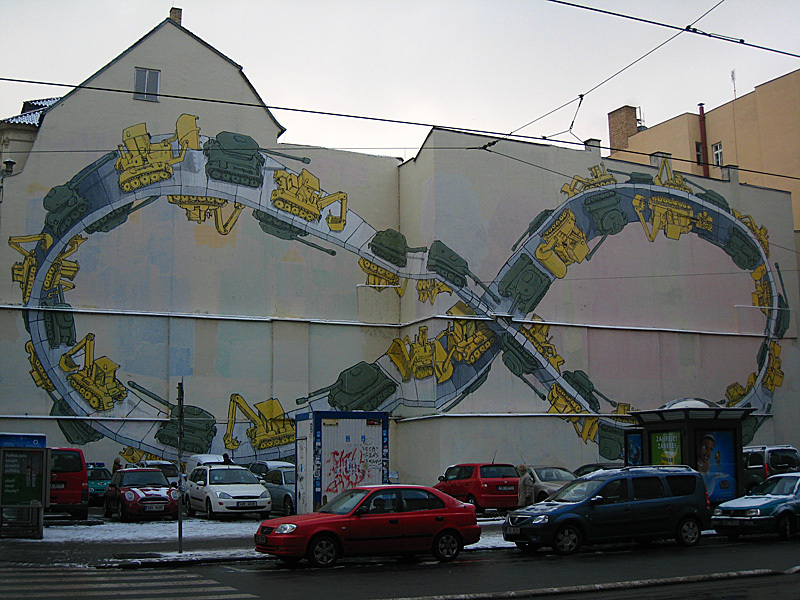 Another monument of Kafka’s imagination. Kind of creepy. This was an awesome tree. It was a good spot for a panorama photo but I waited to get the shot until the next day. 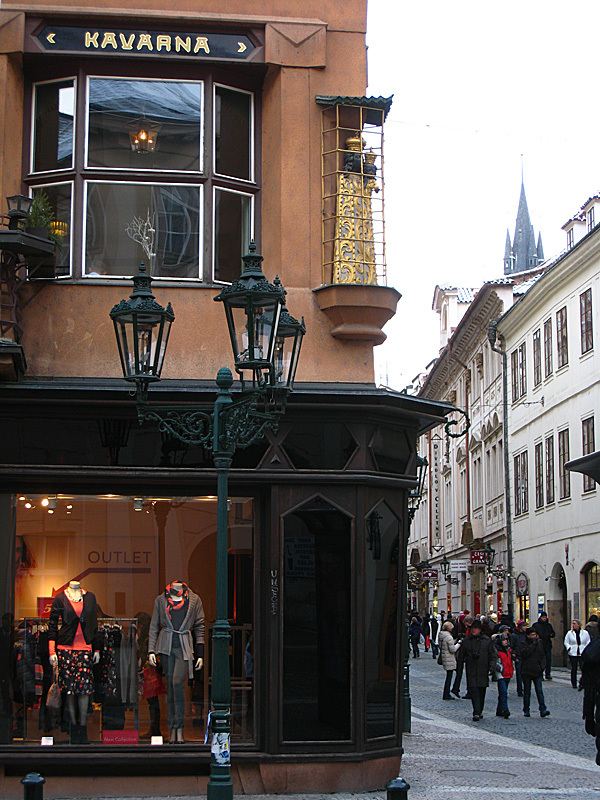 At the end of the tour, Colin recommended a really good Czech restaurant near The New Yorker store. Out front of it is a cardboard cutout of a woman holding beer mugs. The food was quite delicious. I had the goulash. The next morning I set out to the train and bus station to see if I could get an overnight train somewhere this night. Unfortunately, all the trains and buses were booked for everywhere I wanted to go. So I decided to spend one more day in Prague. For the rest of this day, I spent my time in old town and put the castle tour and photos off until tomorrow. 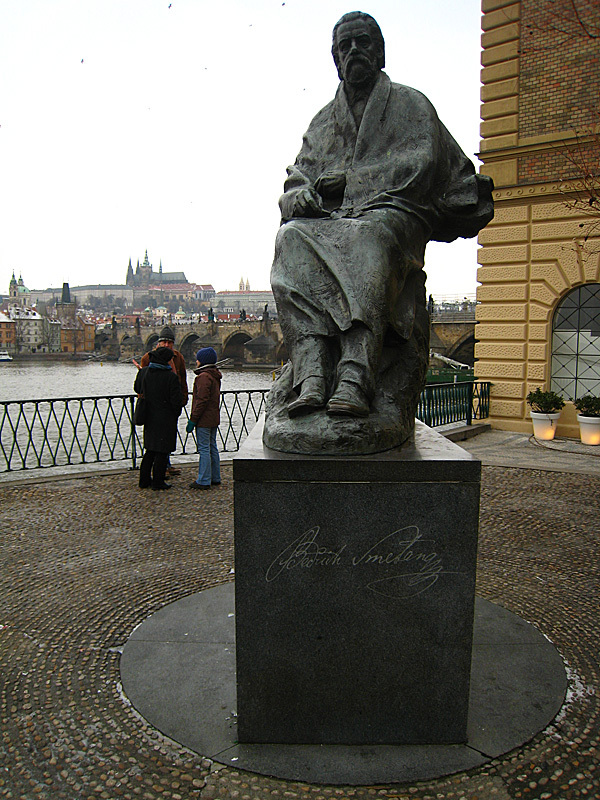 Bedrich Smetana, a modern composer and talented pianist. 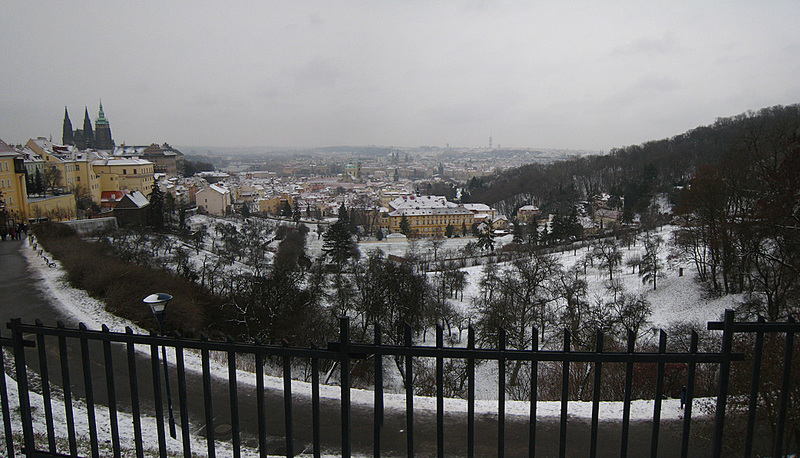 A panorama of the castle on the hill. This time from the top of Charles’s tower on his bridge. I decided to kill some time and go to an organ concert. The organist was very good and she played Toccata and Fugue in D minor (although the ignorantly attributed it to Bach), a Mozart piece, Mendelssohn and two others I can’t remember. The toccata sounded very ominous with the reverberations in the cathedral. 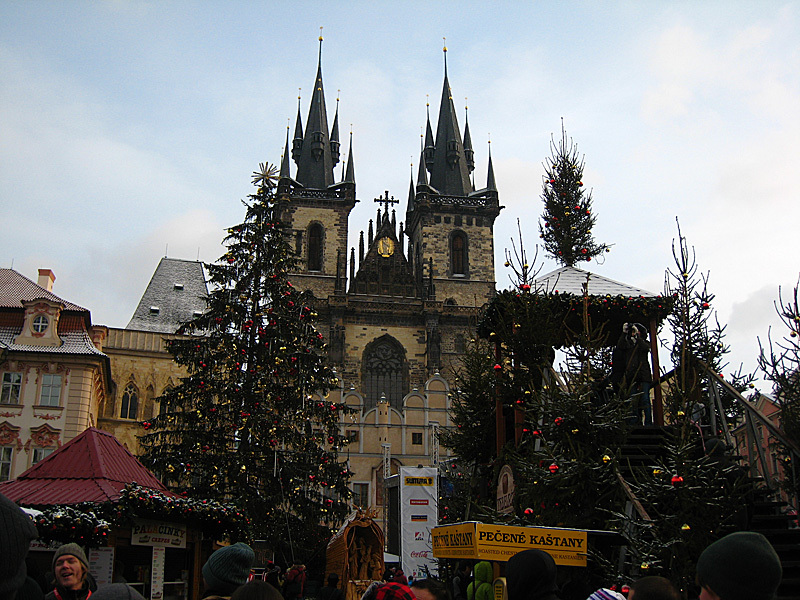 Afterward, I went back to the Old Town Square to grab some food from the still running Christmas market. They had a ton of stuff. I ate a garlic bread with cheese for my main dish and then grabbed one of these for dessert. These are a type of Czech sweets. 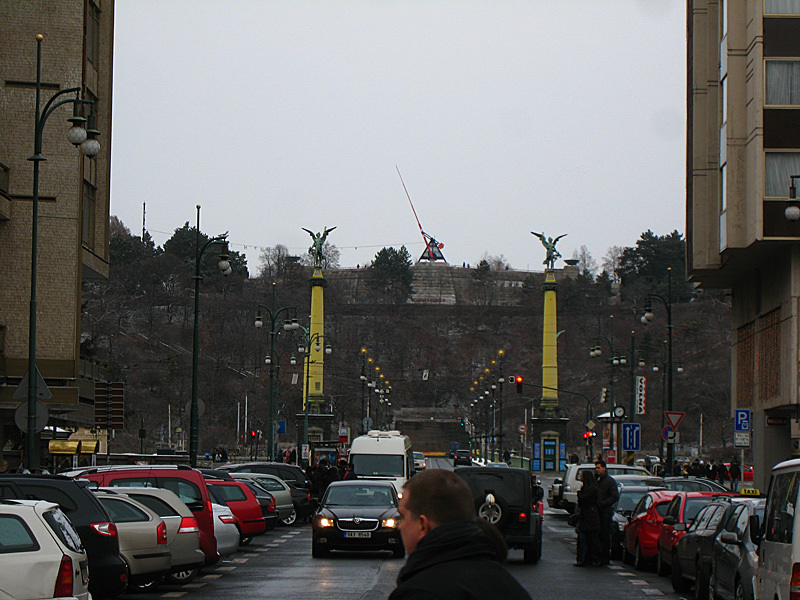 They were originally for sad occasions (the Czech had a lot of these: they gained independence about 5 times in history only to have it taken from them shortly afterward every time). They are like snake bread. It’s supposed to remind the eater of snakes roasting on a fire. 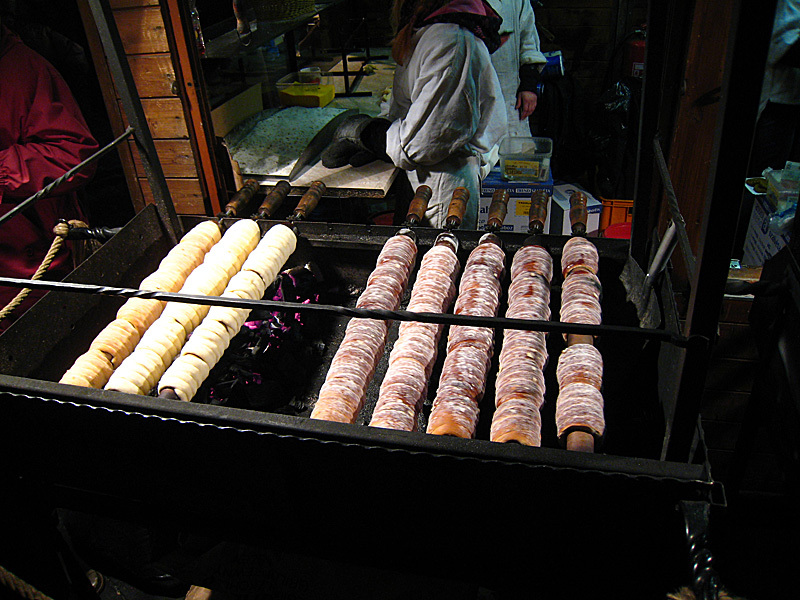 But they season the bread with cinnamon, vanilla, and almonds. Yum! The next morning, I slowly meandered around town toward the river so I could head up to the castle. Check it out, the military industrial complex. 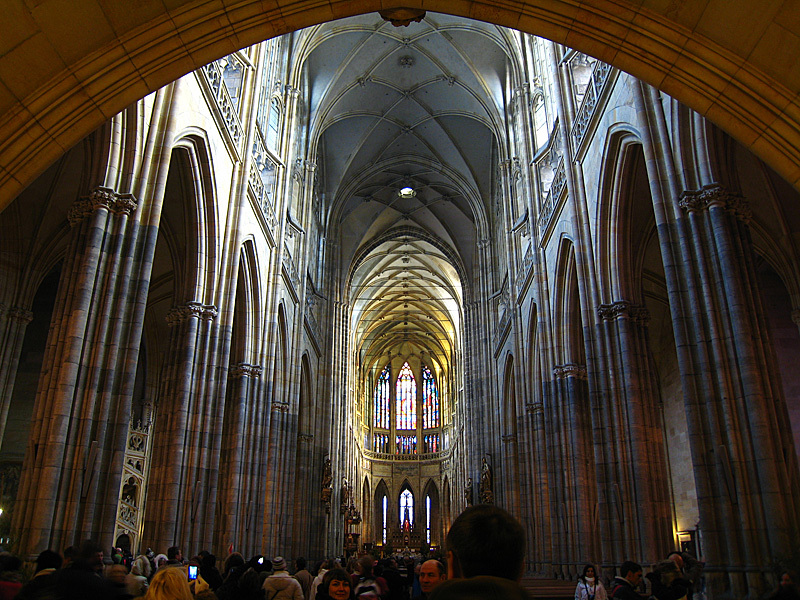 The inside of Saint Vitus Cathedral. Pretty Amazing. A really nice organ. 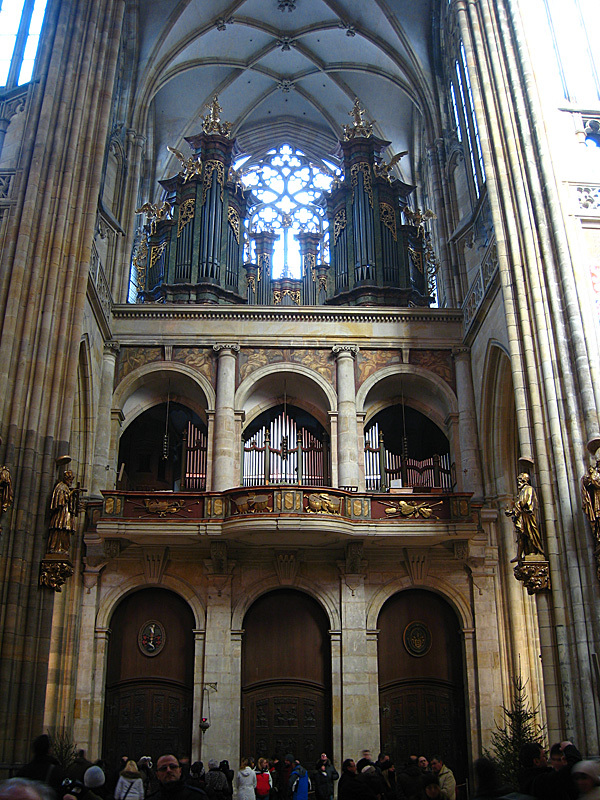 The cathedral was shaped like a cross and the organ was in the horizontal cross part, on the left side. 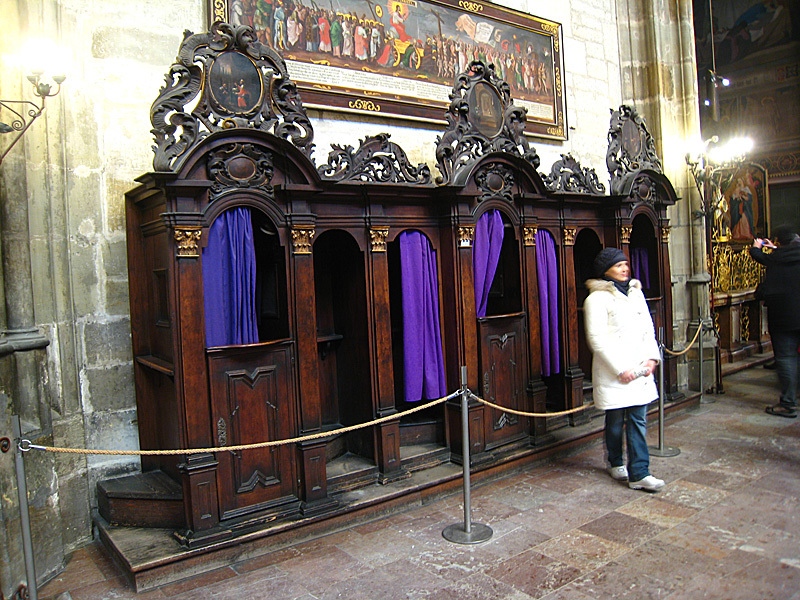 Probably the best invention of the Catholic Religion. These things let you get away with practically anything. 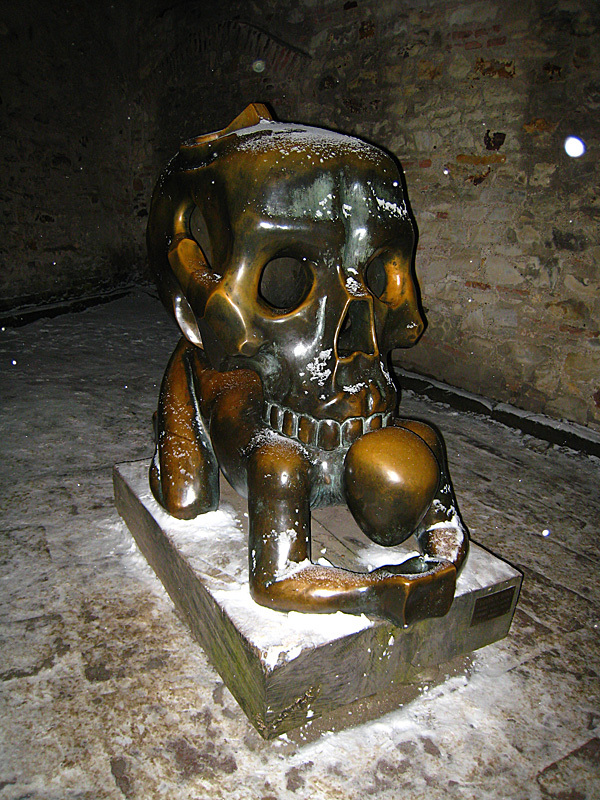 Saint Vitus from one of the Castle courtyards. 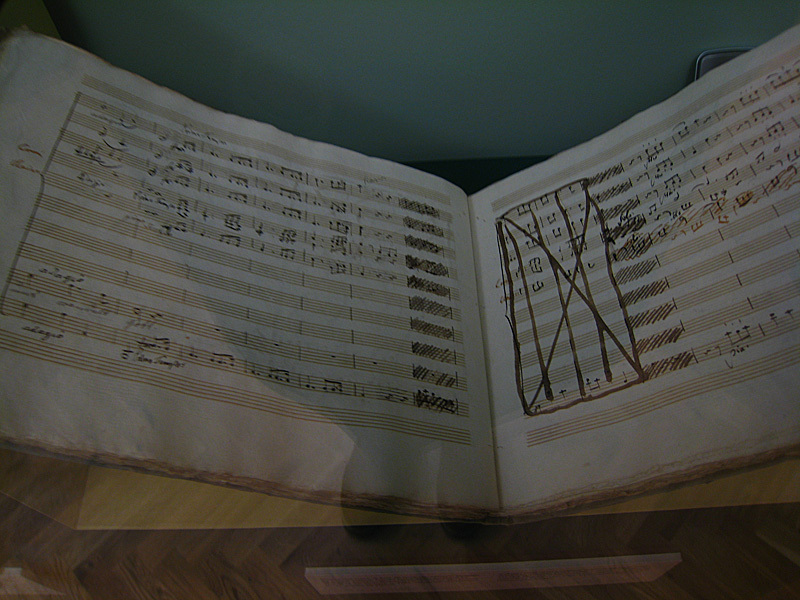 That’s Mozart’s handwriting. His own. He wrote on that paper six inches from me. It’s Mozart’s transposition of Handel’s Messiah, specifically these pages are from the 3rd section. 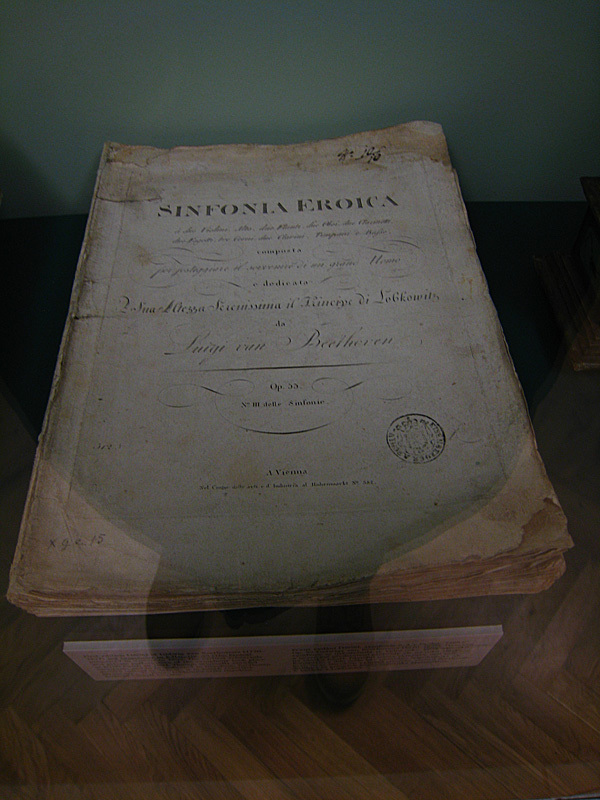 The 3rd Beethoven Symphony “Eroica.” A first edition with corrections by Beethoven, in handwriting, throughout the pages. The 5th Symphony. 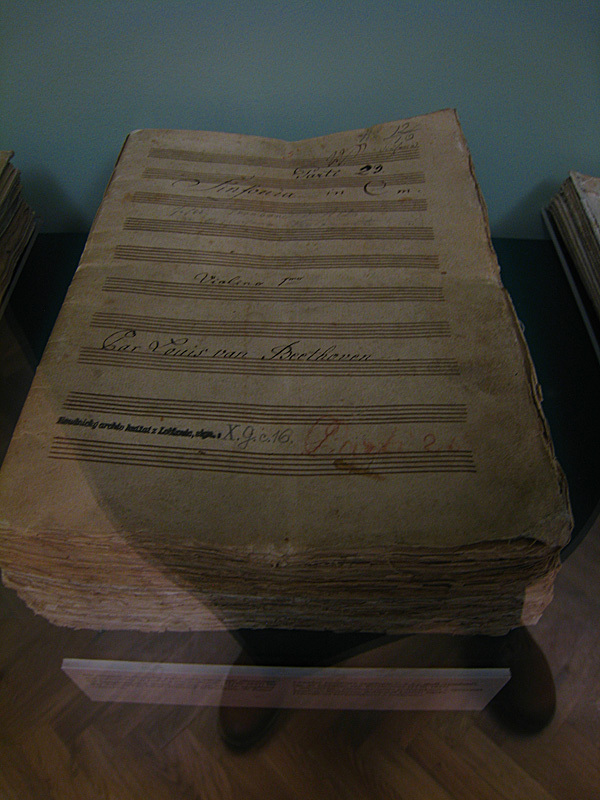 Also a first edition with markings by Beethoven. At this point I was melting where I stood. Actually, I was almost shaking nervous that they were going to kick me out for taking photos. After the museum, I downed a banana and headed back to the hostel to grab my things and travel to Munich. On the way I snapped a few shots. 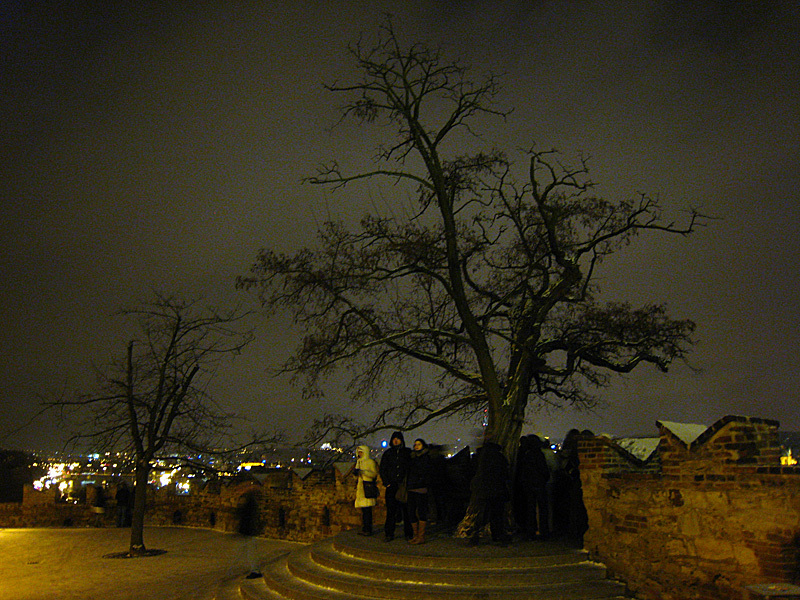 The panorama from the point of view of that tree two nights prior. 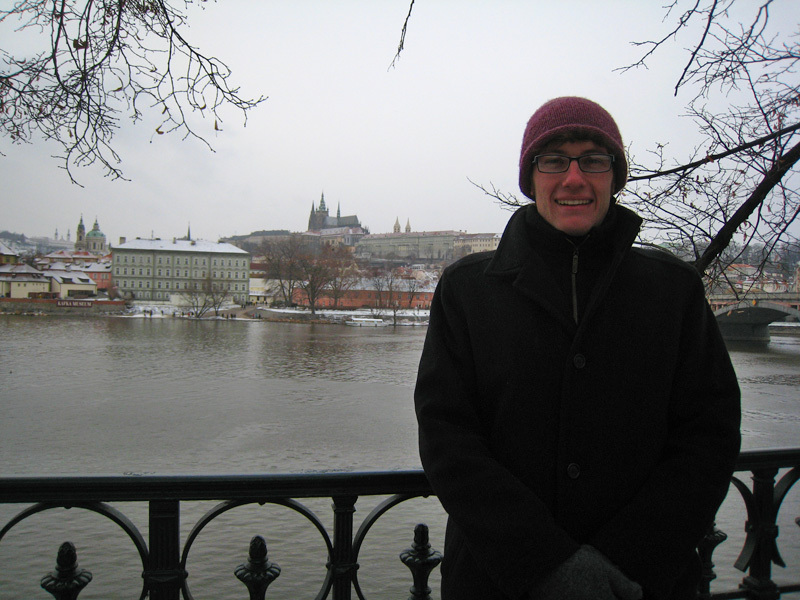 One final look at the Charles Bridge. 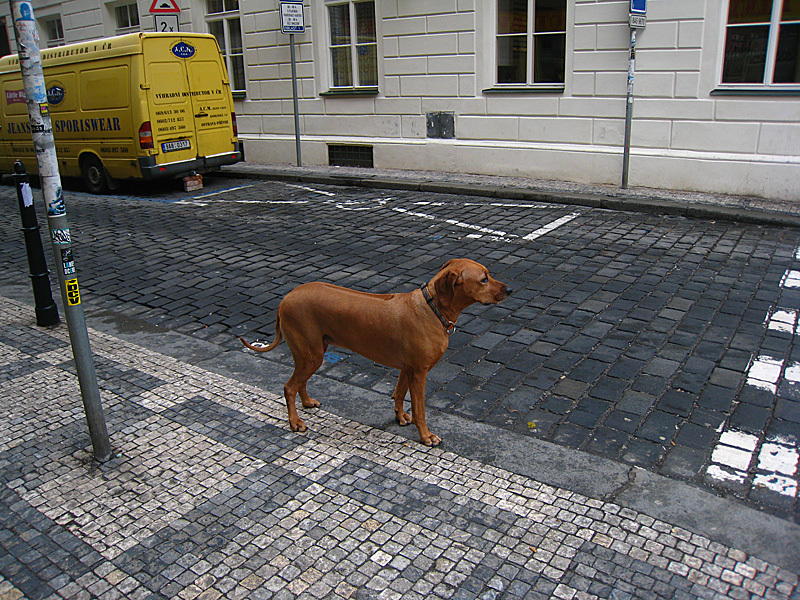 A Rhodesian Ridgeback! I spotted this beauty as I was entering the mini market on my left to pick up some snacks for the trip. I boarded the bus slightly before 3pm and at 3 we took off for Munich, a 5 hour ride. It was a tour bus and pretty comfortable. The bus was rather empty so that everyone had at least 2 chairs to themselves. Later on, I spread out to four chairs while reading The Chronicles of the Black Company (really good dark fantasy). In the middle the driver stopped for 30 minutes to grab dinner at McDonald’s. I stepped out of the bus to stretch my legs and couldn’t believe my eyes. If someone had told me I was in America, I would not have doubted it. Big streets, McDonald’s alone on a corner. Gas station next to it. It was spooky. As I walked into the gas station to grab a sandwich (I was not gonna eat McDonald’s) the only thing giving my location away was the German lettering written on the products. Anyway, I arrived in Munich safe and sound.